Beatrice, 2 years old. 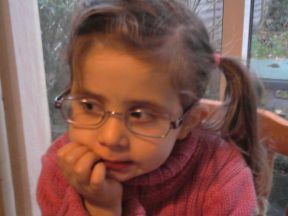 She wears glasses for shortsightedness (nearsightedness). Frames are Little Miss Naughty.